After overcoming the threat of Acnologia and Zeref, Fairy Tail has become stronger and more energetic! The 100 year quest which Natsu and company left for, and also to the members who had remained at the guild, something new is going to happen!? Although the story was supposed to have concluded, a new adventure now begins right where Chapter 545 left off! 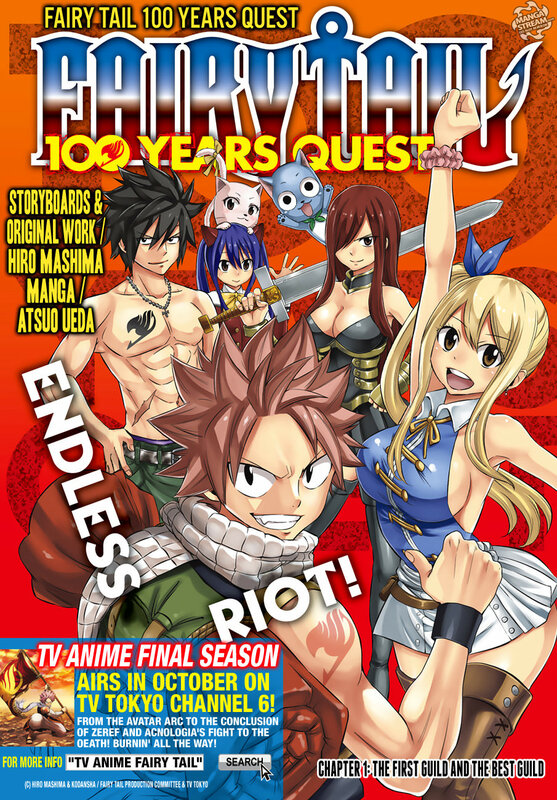 Illustrated by Atsuo Ueda with the storyboards provided by Hiro Mashima, “Fairy Tail: 100 Years Quest” is the official sequel manga that was serialized in Magazine Pocket beginning from July 25, 2018. The first issue will also be available in the 34th issue of Weekly Shonen Magazine. Published: July, 2018 to ?